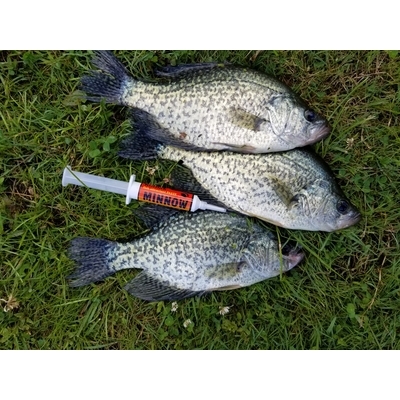 CRAPPIE FISHERMAN ALERT...SPRING SALE!!! This is the most innovative and handy tool to hit the fishing world in ages. Kodiak has put their popular fish attractant paste into a plastic injector, making it simple to fill tube jigs easily. It's available in a minnow scent for Crappie, and a soft craw scent for Smallmouth Bass. As always, Kodiak paste can be applied to anything directly from this handy 12cc syringe. And best of all, it's neat, it's easy and.......IT WORKS!! !